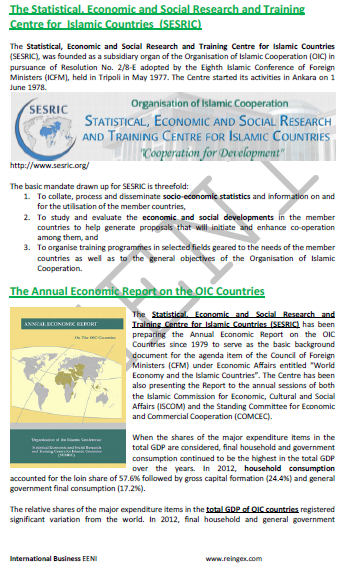 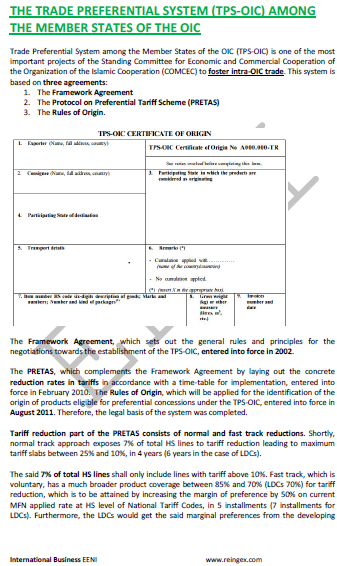 Syllabus of the Online Course (Subject): Organisation of Islamic Cooperation (OIC). 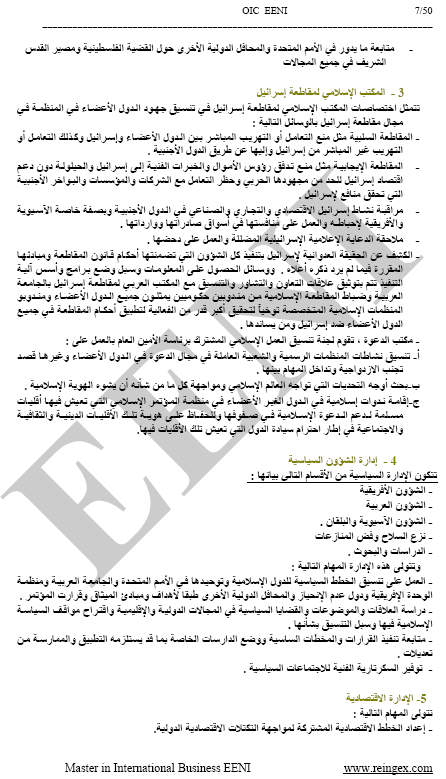 Learning materials in (or Organisation de la coopération islamique Organización para la Cooperación Islámica OIC). 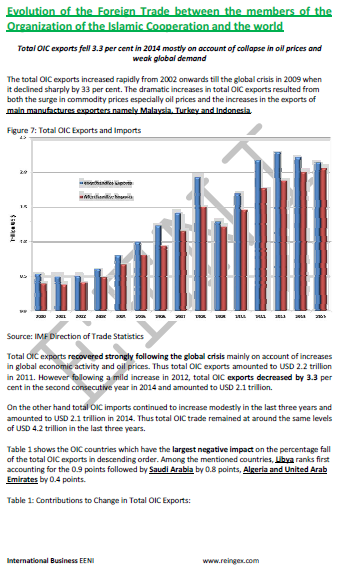 The main objective of the Organisation of Islamic Cooperation (OIC) (منظمة المؤتمر الإسلامي) is to reinforce intra-Islamic economic and international trade cooperation to reach the Islamic economic integration, and finally the Islamic Common Market creation. 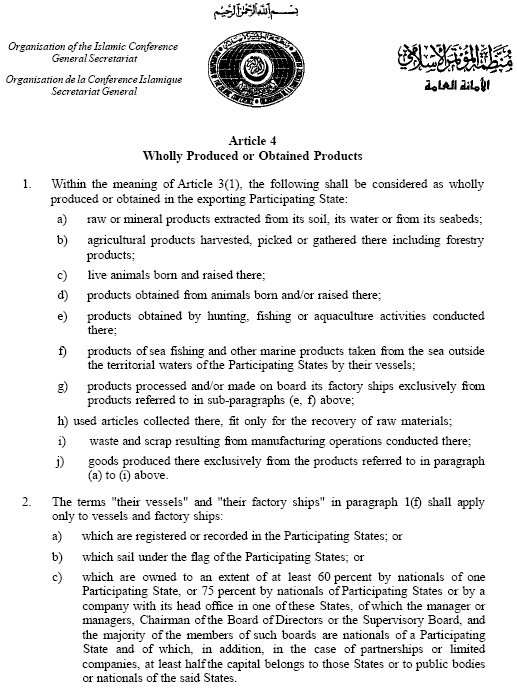 The fifty-seven Member States of the Organisation of Islamic Cooperation (OIC) are Afghanistan, Algeria, Chad, the Arab Republic of Egypt, Guinea, Indonesia, Iran, Jordan, Kuwait, Lebanon, Libya, Malaysia, Mali, Mauritania, Morocco, Niger, Pakistan, Palestine, Saudi Arabia, Senegal, Sudan, Somalia, Tunisia, Turkey, Yemen, Bahrain, Oman, Qatar, Syria, the United Arab Emirates, Sierra Leone, Bangladesh, Gabon, the Gambia, Guinea-Bissau, Uganda, Burkina Faso, Cameroon, the Comoros, Iraq, Maldives, Djibouti, Benin, Brunei Darussalam, Nigeria, Azerbaijan, Albania, the Kyrgyz Republic, Tajikistan, Turkmenistan, Mozambique, Kazakhstan, Uzbekistan, Suriname, Togo, Guyana, and Ivory Coast. 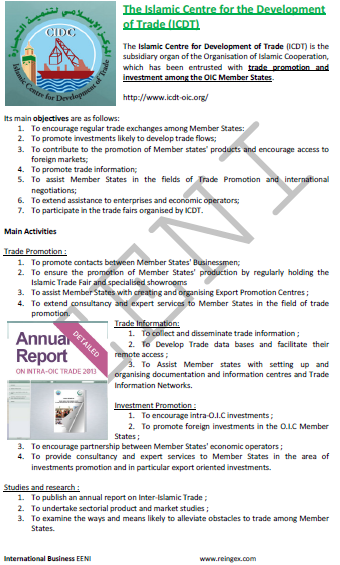 The objective of the Islamic Centre for Development of Trade of the Organisation of Islamic Cooperation (OIC) is the international trade promotion among the Islamic countries. 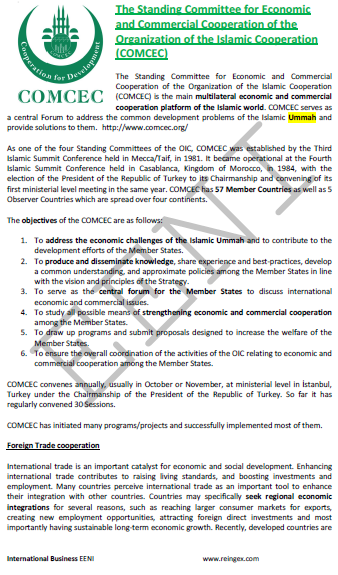 The Islamic Chamber of Commerce and Industry of the Organisation of Islamic Cooperation (OIC) represents the private sector of fifty-seven Muslim Countries. 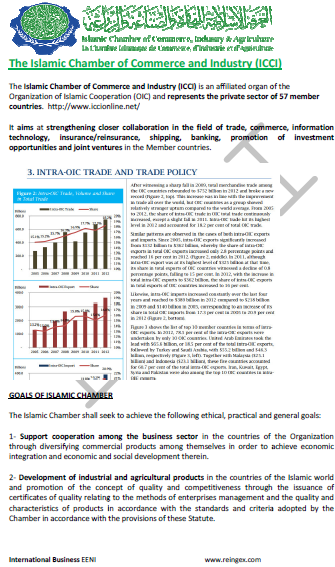 The Islamic Chamber of Commerce and Industry aims at reinforcing collaboration in trade, commerce, information technology, insurance, Shipping, banking, Foreign direct investment (FDI), and regional distribution and joint ventures. 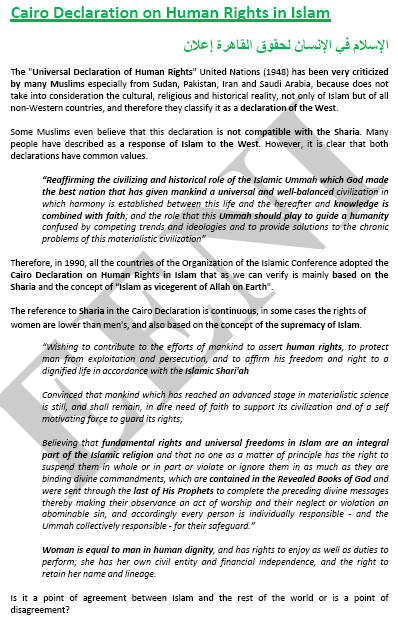 The main religion of the member countries of the Organisation of Islamic Cooperation is Islam. 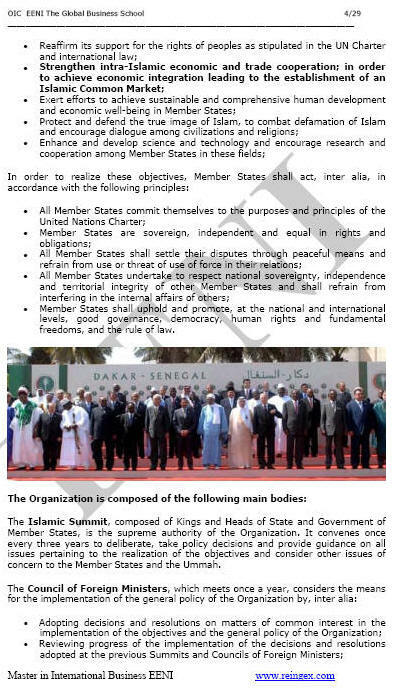 The Organisation of Islamic Cooperation (OIC) belongs to Islamic Civilisation and African Civilisation.